Insomniac Games’ Ryan Smith, Game Director of Marvel’s Spider-Man, shares some of his favorite stories featuring Hammerhead! Play Marvel’s Spider-Man for PlayStation 4 today, including a new downloadable storyline, Marvel’s Spider-Man: Turf Wars, available now! GET READY FOR "TURF WARS"! Read through #115! 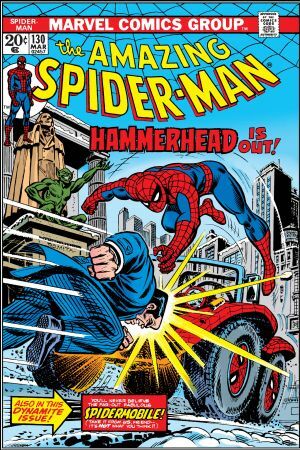 Hammerhead bursts onto the scene in a struggle against Doc Ock for control of the Big Apple. These issues tell Hammerhead’s origin story and introduce his powerful metal skull and his old-time gangster style. We aimed to give players a fresh take on Hammerhead while staying true to the core of his character. Read through #131! 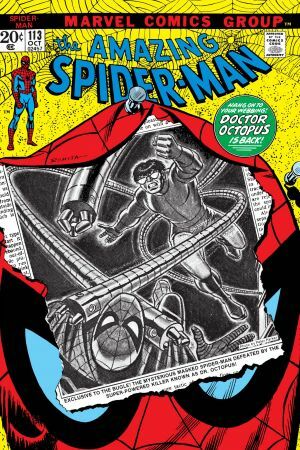 The battle between Hammerhead and Doc Ock continues, and spreads beyond the streets of New York to involve Peter Parker’s nearest and dearest. This run shows that even though Hammerhead is a mobster through and through, he’s not afraid to change it up and use newer tactics – jetpacks and helicopters make an appearance – to accomplish his goals. 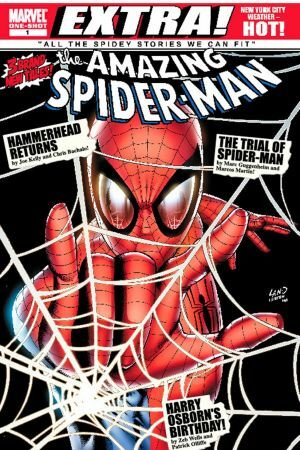 Although we don’t see the web-slinger in this book, Hammerhead makes a powerful appearance fighting against the Fantastic Four. 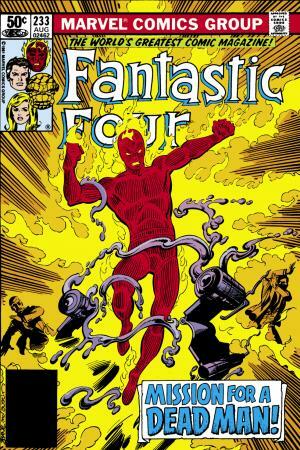 He returns from being presumed dead in an upgraded state – beyond the metal alloy plate in his head. Now, he’s equipped with an exoskeleton that makes him an even more extreme threat. Read through #85 for the full arc! 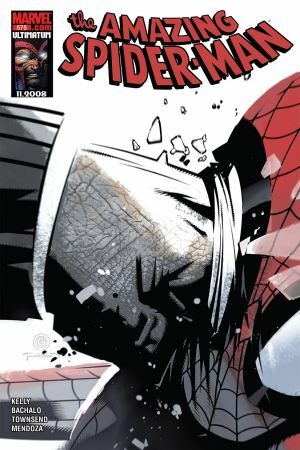 The Warriors storyline in Ultimate Spider-Man brings a modern perspective on Hammerhead as he attempts to take out the Kingpin. 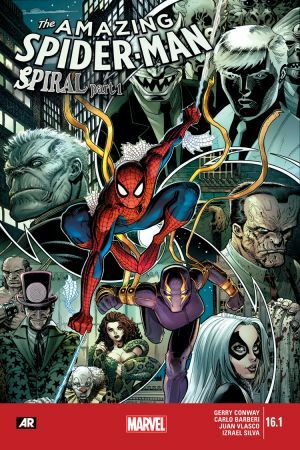 Plus, there’s a great Spidey storyline woven in here as well, where Peter tries to manage the challenges of being a super hero and a teenager at the same time – made even more difficult by the appearance of our favorite feline felon, Black Cat. Here we see Hammerhead’s past and his transition into the future, (courtesy of Mr. Negative and Dr. Tramma), as they transform him into the Hammer, an agent whose sole purpose is to break things. Read through #576! Hammerhead is working as Mr. Negative’s enforcer, tasked with bringing fear to other New York gangs. The Hammer still has his trademark demand for respect and the traditional gangster ways, but he recognizes that “we all have to evolve or perish in this game”, and has a new outlook to go along with the upgrades that Mr. Negative has given him. 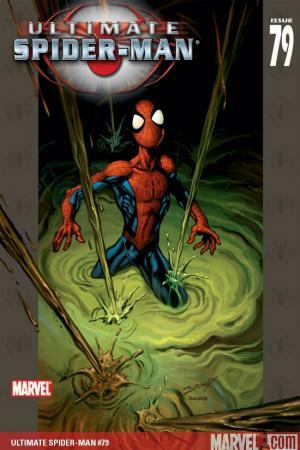 This proves to be a real challenge for Spider-Man. Read though #20.1 for the full arc! In Spiral, Yuri Watanabe wrestles with the frustrations of doing things by the book on the police force, against opponents who don’t play by the rules. The themes explored here became the driving ideas behind the emotional arc of City That Never Sleeps: Turf Wars.